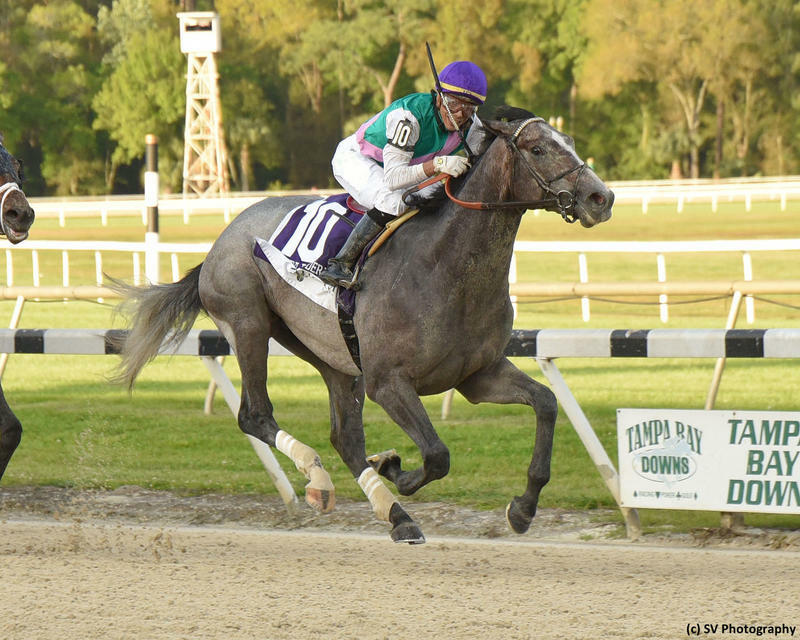 Tacitus locked up a Kentucky Derby berth when springing an 8-1 upset in the Tampa Bay Derby (G2) but still needs a good showing in Saturday’s $1 million Wood Memorial (G2) at Aqueduct to establish himself as a viable win contender. One of seven major prep races in the Road to the Kentucky Derby series, the 1 1/8-mile Wood Memorial awards points on a 100-40-20-10 scale to the top four finishers. A maiden winner at Aqueduct in his two-year-old finale, Tacitus returned from a four-month layoff with an 8-1 upset in the Tampa Bay Derby, rallying boldly from off the pace to win going away by 1 1/4 lengths. A gray son of Tapit, the Juddmonte Farms homebred is trained by Bill Mott and has been installed as the 5-2 morning line favorite with Jose Ortiz. Haikal is also safely in the Kentucky Derby field, pocketing 50 points for a fast-closing win in the March 9 Gotham (G3) at Aqueduct, and the Shadwell Stable homebred will stretch out to two turns for Kiaran McLaughlin with a three-race win streak in tow. Rajiv Maragh has the mount on the son of Daaher and Haikal is listed as the 7-2 second choice. Tampa Bay Derby (G2) runner-up Outshine deserves consideration for Todd Pletcher. The two-time Kentucky Derby-winning conditioner will also send out Overdeliver, who was last seen finish second in the Pasco at Tampa Bay Downs in mid-January. Tax exits a victory in the February 2 Withers (G3) at Aqueduct and has registered commendable BRIS Speed ratings of 103 and 102 from his last two starts. Junior Alvarado has the call for Danny Gargan. Withers runner-up Not That Brady will try to rebound from an unplaced effort in the Gotham. Other contenders include Final Jeopardy, who invades from South Florida for Jason Servis off a sharp 3 3/4-length allowance tally; Hoffa’s Union, who will be tested for class following a scintillating 15-length debut maiden win at Laurel Park; and Joevia, runner-up in the March 16 Private Terms at Laurel.